The guest was Di from New Zealand. The condition was pretty good at Cape Maeda today. There are not millions of people there anymore since the season was over. You will be able to enjoy the cave as long as you want, and you can be possibly alone inside if you are lucky. Di was very comfortable underwater. She got used to it quick and enjoyed cruising for 40mins. 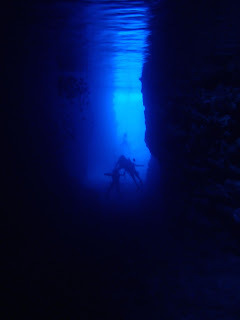 The Blue Cave was blue cave today. 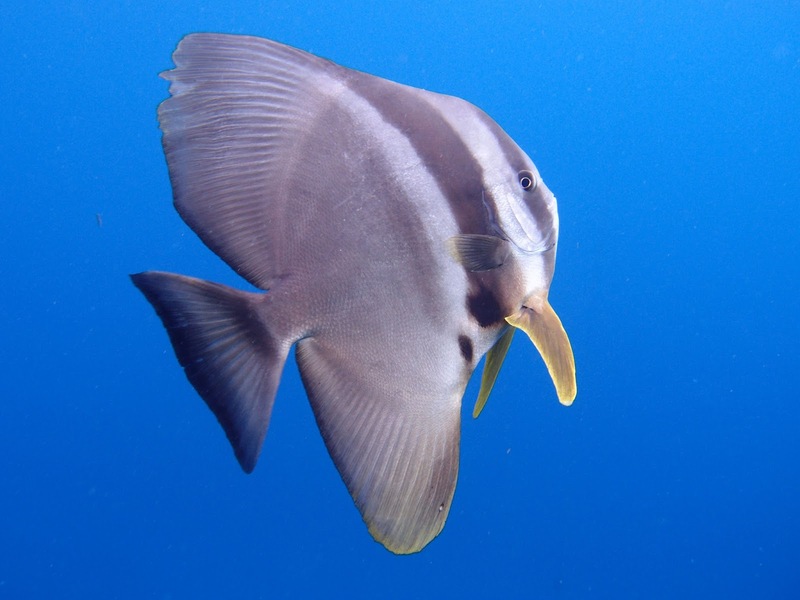 A school of friendly batfish appeared and swam around us. 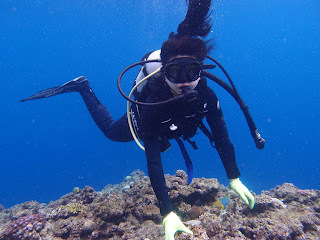 Thanks Di for coming and diving today. 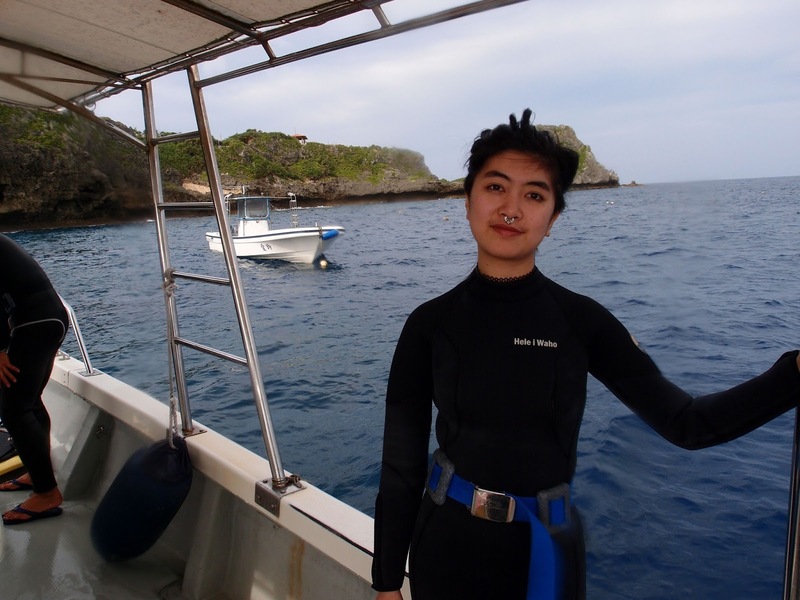 How was diving at Blue Cave? I could tell you were so into the fishes. Hope you enjoyed it. Now enjoy the rest of your stay here and I look forward to your next visit for taking the license course.